We are excited to announce that CarGurus named Exit5 Auto Group as a Top Rated Dealer for the third year in a row! This award is a testament to our dealership’s exceptional customer service and established trust from our customers. 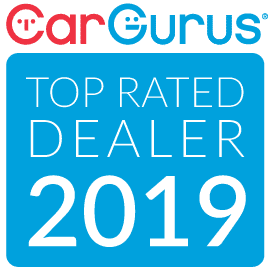 The CarGuru's team says "We are excited to recognize Exit5 Auto in this exclusive category of top performing dealers who share our commitment to building a transparent shopping experience". Patrick Lyga, owner and GM at Exit5 Auto adds: "From the entire team here at Exit5 Auto, we thank you - our customers - for your continued support and trust. We could not have earned this award without your patronage and your willingness to share your experiences with us. Thank you!"